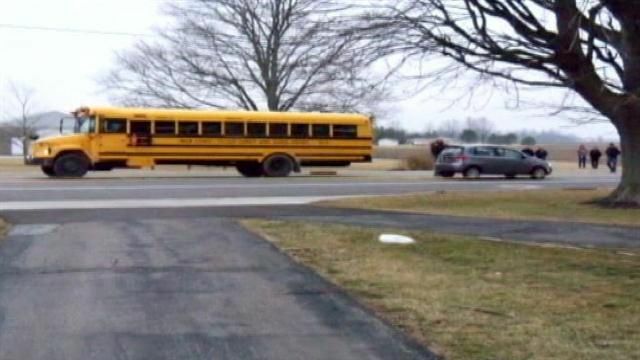 (Union County, IN)--A Union County woman has collected more than 10,000 signatures on an online petition after a tragedy last week in which three children were killed getting onto a bus in northern Indiana. Here’s what has motivated Liberty’s Jessica Jones to work to prevent similar tragedies. "My children were on a school bus here in Union County and they witnessed an accident that took the life of a friend," Jones said. Eight-year-old Jaret Philbeck was killed crossing U.S. 27 near Cottage Grove five years ago. Jones has worked in the five years since to change legislation. This is was she wants. "Pass a law that prohibits kids from being asked to cross a highway to board a bus." You can find the online petition at change.org.